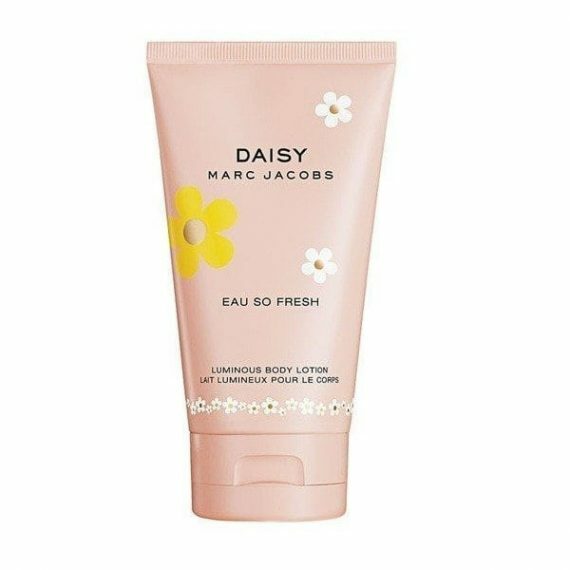 Daisy Eau So Fresh by Marc Jacobs is a floral fruity Radiant Body Lotion for women with top notes of Ruby Red Grapefruit, Raspberry, Green Leaves and Pear. The heart notes are Violet, Wild Rose, Apple Blossom, Lychee and Jasmine Petals with a base of Musk, Plum and Cedarwood notes. It is a bright and fresh scent with a luscious and alluring feel. The predominant note is Green Leaves and the fragrance lasts well on the skin. The body lotion was launched in 2011 in a 150ml pink tube. The fragrance is also available to buy as an Eau de Toilette.